And welcome back to Day 3 of the Pink and Main & Xyron Blog Hop!! We are so glad for you to be joining us again! We have more inspirational projects from both teams featuring awesomely cute Pink and Main Stamps paired with fabulous Xyron adhesive. 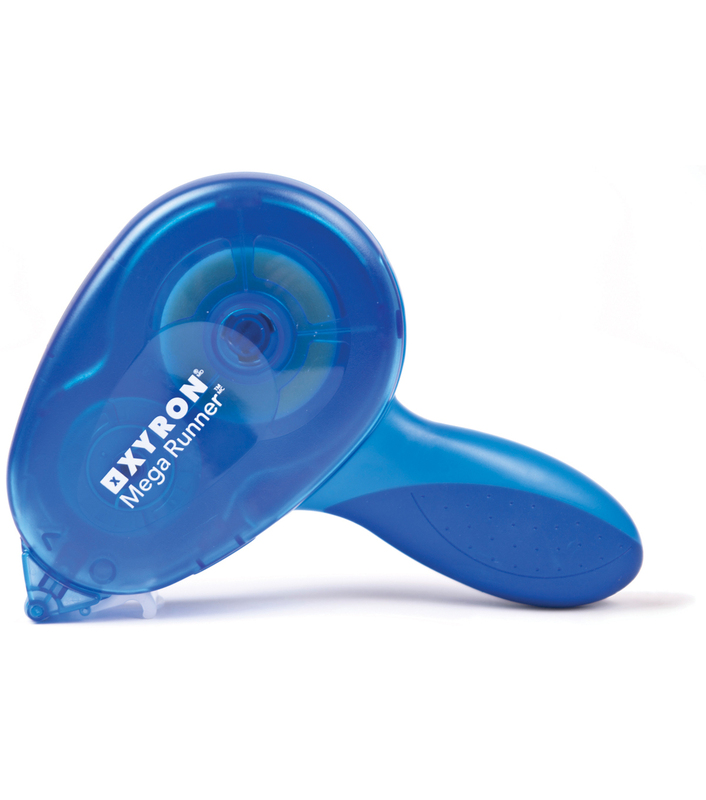 To help celebrate our blog hop, both Pink and Main & Xyron are giving away a $25 Pink and Main online Gift Certificate and a Xyron Mega Runner Prize Package. All you have to do is leave a comment on participating blogs. A winner will be chosen at random from the comments left. 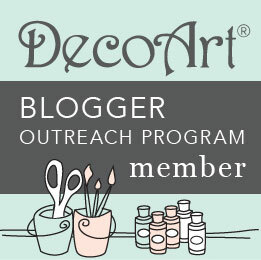 Our blog hop lasts all week long and the more you comment the more chances you have to win! It's summer and the temperatures have been getting pretty high. 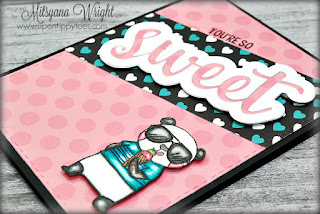 So, for today's project, I made this super "sweet" panda eating an ice cream cone card that reads... "you're so SWEET". I just love his little aviator sunglasses ... and well, I love ice cream!! I started by stamping my image with archival black ink onto mixed media paper. Then I colored the image with distress markers and blended out with a water brush. I die cut two stitched rectangles from patterned paper. I used pink polka-dot from the Shades Of Spring Paper Pad and the black with turquoise hearts from the Spring Color Pop Paper Pad. I used a 2-1/2" wide piece of chipboard laid it at a diagonal to trace around the sides. Then cut out the diagonal strip. 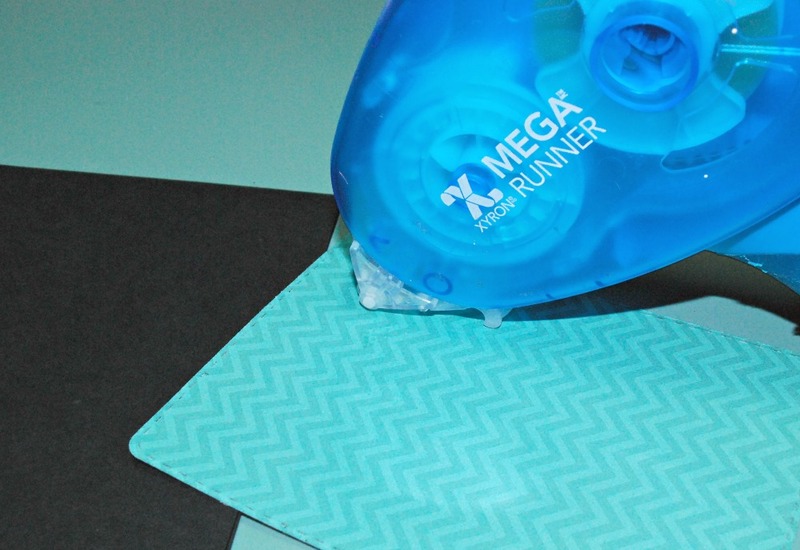 I used my Xyron Mega Runner to attach the strip to the front of the remaining stitched rectangle. I attached foam adhesive to the back of the panda to add dimension and applied him to my card front. 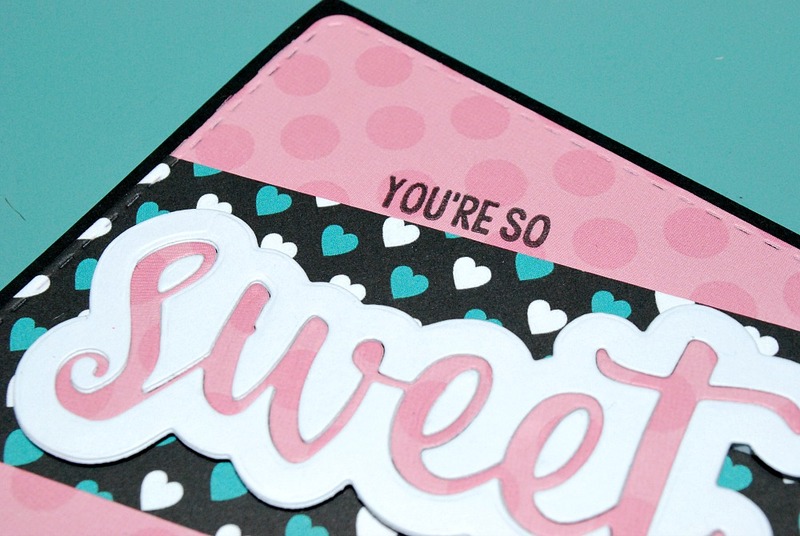 I die cut 2 sets (both word and shadow) of the word Sweet from the Sweet Dies set. One in White cardstock and one from the same polka-dot pink paper from earlier. 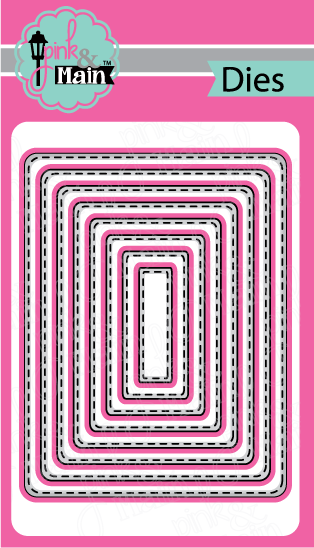 I placed the pink word into the white shadow and glued it onto the black diagonal strip. Then used my Xyron Mega Runner and attached my card front onto an A2 sized card made from black cardstock. Then stamped the words "you're so" from the Hello Sweet stamp set in black ink. I really hope you enjoyed this sweet card tutorial! Don't forget to leave a comment below to enter our GIVEAWAY! 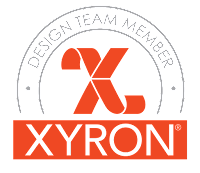 And don't forget to check out Xyron's Facebook page too. View more inspirational projects. They will be also doing a giveaway so don't forget to leave a comment there for even more chance to win! Darling card! Love that cute panda! Great layering and color combo! 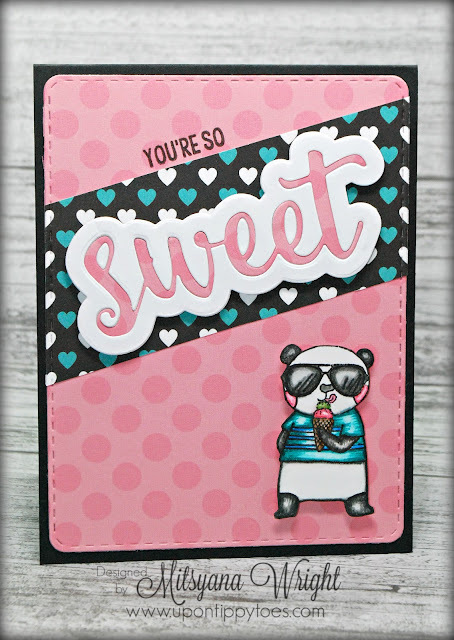 What a cute panda card! Thanks for the inspiration and for the opportunity to win! Thank you for stopping by,Carey! We hope you had a great time with us! Thank you so much, Carla! I'm glad you like the card! Carla, Congratulations!! You were chosen as the random WINNER of the Pink and Main & Xyron Prize Package. Please Contact me with your mailing info to claim your prize package!! Loving this Panda and ice cream! Super cute! Thanks, Jean... he's one of my newest faves! Cute card! I really like the papers you chose to go with the little panda. So sweet! Thanks,Desiree'!! You are the stinkin sweetest!! I love the darling panda & pretty papers! !Adorable card! You've made my day wonderful, friend!! Thank you so much for stopping by! So so cute and I love that die! Thank you so much, Terri!! That die is very AWESOME indeed!! Isn't this little guy so sweet! Love that he's licking an ice cream cone! Very cute card! Thank you, Amy!! I know right... that licking the ice cream cone is stinkin adorable! !